Do you know Google uses its algorithm to decide the ranking of sites? Google has a huge history of algorithm updates to refresh its search index and every year Google algorithm updates. Some updates are correctly announced, while some are suddenly updated without prior notice, and the SERP was shake up. It was rolled out in Feb 2011, and the target of Panda algorithm is to reduce the ranking of poor quality sites. Panda updates it regularly continued in every year, Good quality sites are easy to get rank on Google with the help of Panda algorithm. In the time of April 2012, black tactics SEO has been punished by Google to boost organic ranking on Google. It is named as Penguin algorithm, and it focuses on catching the sites that have spammy links which are gotten through link purchase or link networks to boost search ranking. Day by day, the Penguin algorithm updates continuously, and it works in real time to penalize poor sites. Again new Google algorithm updates have been introduced in 2012 named Pirate. This algorithm reduces the ranking on Google, and damage sites which cross the limits. It mainly focuses on online piracy sites with copyright infringement reports. During September 2013, Google silently launched the Hummingbird algorithm, and only less number of people knows about the launch because of no effect on the search engine or no affection in sites. It mainly targets to find the best answer for the suitable question with speed and accuracy by focusing the meaning behind the search queries. This is the first algorithm to focus on local search results and is first launched in UK, Canada, and Australia. Introduced in July 2014, it is used to find accurate distance and location related to search ranking signals. A mobile-friendly algorithm update served as an extra advantage to boosting mobile-friendly websites in Google’s mobile search results. It gave a small impact to search ranking in mobile devices when introduced in 2015. In 2015, RankBrain algorithm was launched which is a machine language artificial intelligence system. It is used to find search results, and it contributes to the 3rd most important ranking factor. Possum is an unconfirmed update in September 2016. The process of possum algorithm is to find the local pack and local finder. It focuses on Local business listings in the SERP. During March 2017, Google rolled another unconfirmed update called Fred. It targets on black hat tactics that are used to earn money in poor ads and dummy sites. This algorithm gave a great impact on low valued content sites that focus on revenue. As Google decides to find quality results for the users, it develops different Google algorithms every year to keep their search results more relevant. 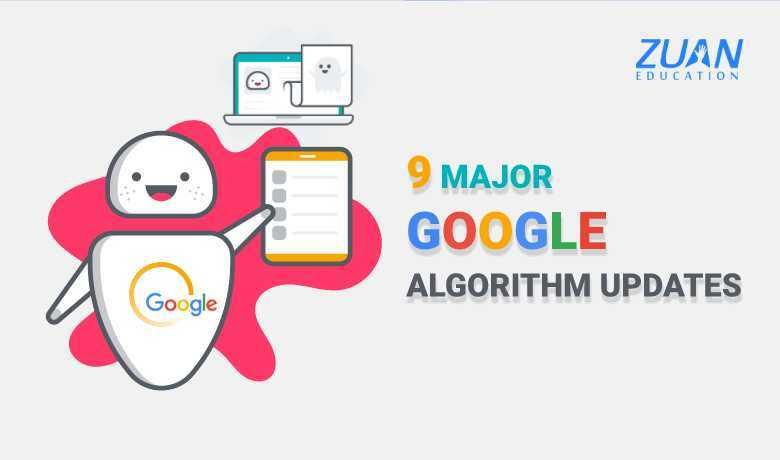 The above nine algorithms are mostly affected algorithm updates in Google that has shaken up the SEO community. We hope this information of major Google algorithm updates is useful for you.